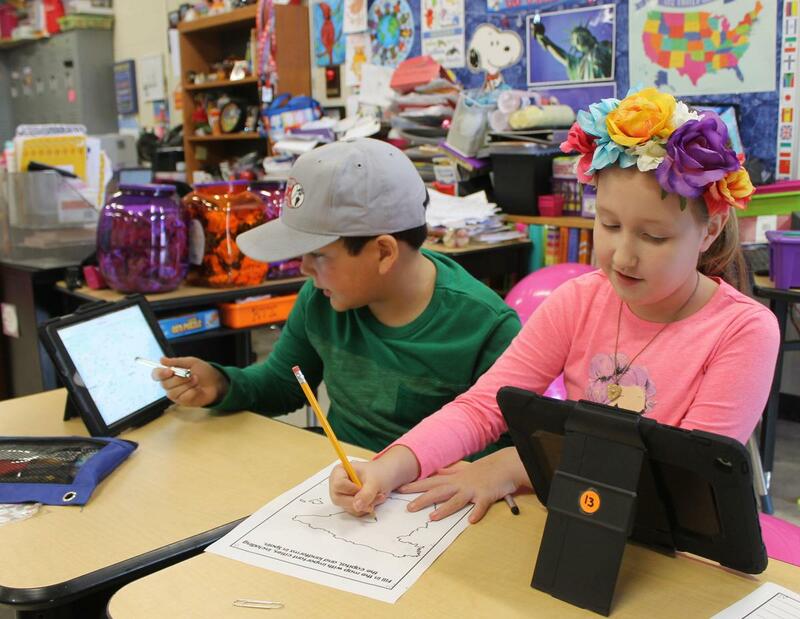 The Kingston Springs Elementary School Parent Teacher Organization purchases 40 iPads and cases, a charging cart and the licensing software for ZuluDesk for the school. Thanks to the Kingston Springs Elementary School Parent Teacher Organization, students at KSES have some great new learning tools. The PTO recently purchased 40 iPads and cases, a charging cart and the licensing software for ZuluDesk for the school. ZuluDesk is a superb mobile device management system that allows teachers and parents full control over just how a student’s iPad is used. It has a range of features which allows it to 'lock-in' apps or specified websites for an allocated time. The PTO raised the money for the new technology by hosting a successful Fun Run at the school last spring. This is a wonderful example of how PTOs can help our schools. We appreciate the KSES PTO for its commitment in making KSES a great place for our students to learn. Students in Linda Allen’s third-grade class recently used the new iPads to research European countries.